We understand that nurturing the land and preserving its vitality is not only essential for our family, but across the globe, so that future generations can enjoy many harvests for centuries to come. 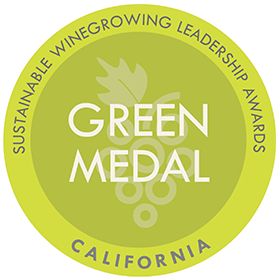 We are proud to be honored with the 2018 Green Medal Leader Award, which recognizes the vineyard that best demonstrates environmentally sound, socially equitable and economically viable sustainability practices. The California Rules for Sustainability distinguishes growers who follow strict guidelines in their farming practices. Starting with the 2017 vintage, we required all of our 91 growers to implement the California Rules for Sustainability standards. This resulted in 96% of all grapes crushed at Bogle in 2018 being Certified Green.